While you may weigh a multitude of different criteria when selecting a builder, ultimately you will choose the firm, and the people, that you most trust to deliver your project. That’s why we always seek to hire the best employees—whether a seasoned veteran of the industry or a new college graduate with a passion for building quality projects. It’s also why we always provide our staff with opportunities to further their education within their discipline, to learn about the latest technologies, and to use their expertise to mentor younger team members in the field. The BW Kennedy & Co. staff is made up of expert craftsmen and managers who share a passion for building and a sincere dedication to client service. We stake our reputation on seven core values, which you will find in each and every one of our team members: Integrity, Trust, Professionalism, Collaboration, Credibility, Transparency and Dependability. Brian incorporated BW Kennedy & Co. in May 2009, after working in the construction industry for over twenty years. Born into a family of builders, Brian’s career began at age 17 when he became a carpenter’s apprentice for his father’s construction firm, Kennedy & Rossi. 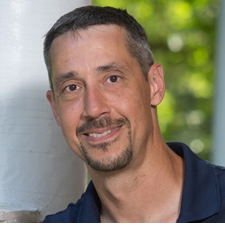 After graduating from Assumption College in 1994, Brian spent several years gathering experience as a project engineer, assistant project superintendent and project manager. He quickly moved through the construction ranks to become a project manager on multi-million dollar commercial and educational projects. When Brian decided to form BW Kennedy & Co., it was with a goal of creating a client-centered organization that would employ a collaborative approach to managing challenging technical projects. Since forming the company in 2009, Brian has grown the business to one which develops more than $50 million of construction annually, with particular expertise in life sciences facilities. When he's not at work, Brian serves on the Associated Builders & Contractors (ABC) Board of Directors, and spends free time skiing, running and coaching his children's teams. Jean has worn many hats during her career in the construction business. She began in 1985 as Project Assistant for Edward R. Marden Corporation, quickly moved up to Office Manager and then Team Manager at Linbeck Group, and then spent four years at RF Walsh Collaborative Partners/Hill International as a Project Manager. 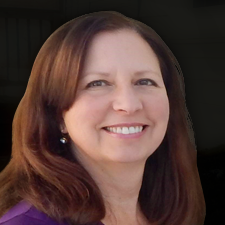 Jean has been with BW Kennedy & Co. since 2014 and is currently a Senior Project Manager. Jean has expertise in managing complex projects in the biopharmaceutical sector, as well as extensive projects in both public and private education. Jean holds a Bachelor of Science degree in Marketing from Northeast University and is a LEED AP. As a Senior Planner, Jason works with clients during the preconstruction stages of a project to evaluate feasibility, create detailed programming requirements, and to plan the logistics that will result in a successful project. 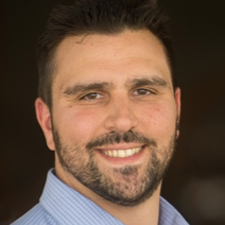 A seasoned professional, Jason has 15 years of experience working in the life sciences industry managing and building programs for clients such as Genocea Biosciences, Altus Pharmaceuticals, Agenus (formerly Antigenics), and T2 Biosystems. During his career he has been responsible for a wide range of tasks – from overseeing facility and laboratory operations, capital projects and relocations, managing cross functional projects and teams, and lease negotiations. With his experience in life sciences and understanding of what the client requirements are, Jason will be an instrumental member of our management team as the company continues to expand our life sciences business. Jason holds a MBA from UMASS Dartmouth and a BS in Safety and Occupational Health Applied Sciences from Keene State College. 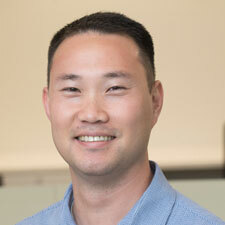 When not working, Jason’s hobbies include golfing, going to the beach, fishing and spending time with his family. Bill joined BW Kennedy & Co. in 2010, where he has managed life sciences building and tenant fit-out projects. Prior to that, Bill spent more than 20 years in the construction industry with builders such as Kennedy & Rossi/Linbeck Group and Barletta Engineering. He has managed a variety of challenging projects for clients in Biopharma, Higher Education and Commercial, including Wyeth, Sanofi-Aventis and Tufts University. 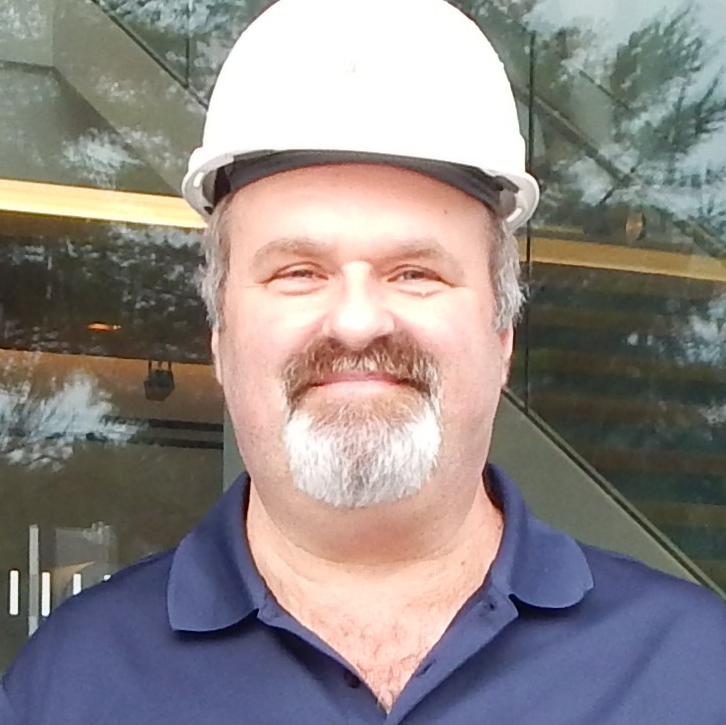 Prior to working in construction, Bill worked as a structural engineer. He holds a Bachelor of Science degree in Civil Engineering from Northeastern University and is a Registered Professional Structural Engineer. He holds a Boston Builder's License and Massachusetts Construction Supervisor License. Jon has assumed a variety of roles in the construction industry—from draftsperson, to Engineering Change Analyst to Carpenter to Construction Supervisor. He has made his mark on everything from historic residential projects to commercial medical projects, working with Highland Development Associates, Seaver Construction and Medical Construction Management, Inc.
Jon joined BW Kennedy & Co. in 2013 where he has served as Superintendent for historic restoration projects and new laboratory projects. His client roster includes Middlesex School and King Street Properties. Jon holds a Massachusetts Construction Supervisor License. An outdoor enthusiast, when time allows Jon enjoys hang gliding, paragliding, kayaking and camping. Mark began his career in the construction business at age 17 performing labor and demolition for a company that specialized in high-end condominium sales. There, Mark worked his way up to foreman while concurrently being trained in minor carpentry. He spent the next dozen years honing his skills for a variety of construction and subcontractor firms, including Columbia Construction, CM&B, Stack Construction Co., BRS Construction, and JK Scanlan—as well as for development companies such as New Boston Development, Dream Realty, and South Boston Realty. 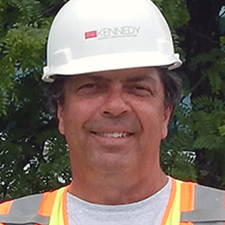 Mark joined BW Kennedy & Co. in 2015, where he currently serves as a Foreman. Prior to joining BW Kennedy & Co., Patti spent 15 years as marketing manager for Kennedy & Rossi/Linbeck Group, 2 years with RF Walsh Collaborative Partners, and 3 years with Integrated Design Group. As a marketing consultant, she has provided marketing services for a variety of companies including Commodore Builders and SAK Environmental. Patti holds a Bachelor's degree in English from the University of Massachusetts, Amherst, and is a long-time member and volunteer for the International Society of Pharmaceutical Engineers (ISPE), where she has served as President, Vice President, Secretary and a member of the Communications Committtee. Matt’s career at BW Kennedy & Co. began as Project Manager for the new construction of a life sciences building and parking garage for King Street Properties in Lexington. 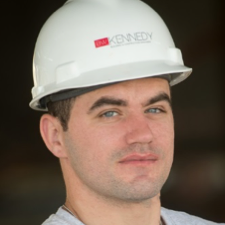 Prior to joining BW Kennedy, Matt worked as a Project Manager for Whiting-Turner, Gilbane, and Integrated Builders. Matt holds a Bachelor of Science Degree in Civil Engineering from WPI, where he was also a four-year member of the Varsity Soccer Program. 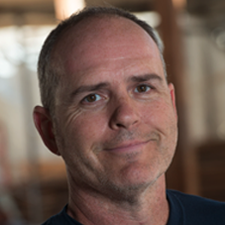 George joined BW Kennedy & Co. in 2015 as a Carpenter/Foreman after owning and managing his own residential construction business for nine years. Prior to that, he worked in construction for companies such as Arlmont Roofing, Xenergy, and Carney General Contracting. In addition to a broad range of specialty knowledge, including roofing, framing, and demolition, George has experience in custom high-end finish work and construction management. 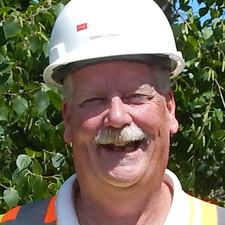 In 2018, George was promoted to his current role as Project Superintendent. He holds a Massachusetts Construction Supervisor License. When not working, George enjoys hobbies such as auto repair and wood carving as well as outdoor adventures including hiking, biking, swimming, canoeing, camping and road trips. Mike joined BW Kennedy & Co. in 2014. A highly experienced construction manager, Mike has worked for a number of respected general contractors including CMB, Kennedy & Rossi/Linbeck Group, Columbia Construction, Congress/Interstate Construction and Beaver Builders. During his career, he has managed a wide variety of new construction and renovation projects, ranging from retail stores to car dealerships to higher education and secondary schools to healthcare facilities. Mike holds a Bachelor of Science degree in Civil Engineering from Wentworth Institute of Technology and a Massachusetts Construction Supervisor License. 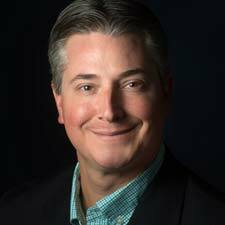 Steve is a highly experienced senior project manager who joined BW Kennedy & Co. in 2018, most recently from Congress Construction. At Congress, he served as a Senior Project Manager/Project Executive for large memory care and assisted living projects. He began his career working for Green Construction Company located in Des Moines, Iowa. For the next thirteen years he worked for Green and several of their subsidiaries in a variety of roles, including two years managing projects in Saudi Arabia. After that he returned to the US and worked for local companies such as Connolly Brothers, Congress Construction, Tocci Building, and Walsh Brothers. One of the largest projects he completed was a $50M addition at the Gillette World Shaving Headquarters in South Boston. His broad project experience includes many R&D projects, clean rooms and collaboration spaces as well as manufacturing and office renovations. Steve holds a Bachelor of Technology degree from the University of Northern Iowa with a Construction Technology emphasis. Mike joined BW Kennedy & Co. in 2012 as a laborer and was later promoted to foreman, then to assistant project superintendent, then to his current role as an estimator. 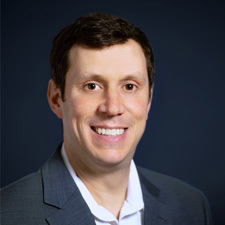 While at BW Kennedy & Co., he has worked on numerous projects for clients in the life sciences business sector including Amgen, Celgene, T2 Biosystems, and UNUM Therapeutics. Mike holds a Bachelor's degree in Communications from Framingham State University and a Massachusetts Construction Supervisor License. When not working, he enjoys surfing and fishing. John brings a wealth of experience in construction to his role, having founded and managed his own firm, Kennedy & Rossi, for over 25 years. During his career, John specialized in the construction of biotechnology, pharmaceutical, and healthcare facilities with projects ranging from a fermentation pilot lab in 1981, to a new site development for EMD. 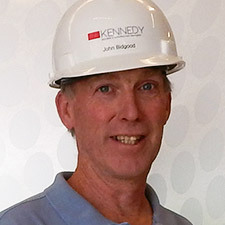 At BW Kennedy & Co., John provides estimating expertise for life sciences and commercial projects. 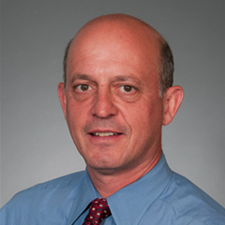 Additionally, John has served as a Lecturer at the Massachusetts Institute of Technology since 1994, currently at the Center for Real Estate and previously at the Center for Construction Research and Engineering. As a lecturer he has taught Entrepreneurship and Strategic Planning for the Design, Build, and Real Estate Development segments of the built environment. John is also a Partner of Kennedy Ventures LLC, which works with companies within the built environment to unlock latent businesses or real estate development opportunities. 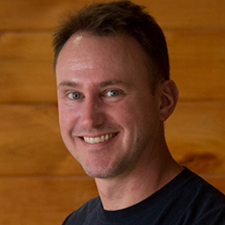 John holds a Bachelor of Science degree from Merrimack College and a Master of Science from MIT. Pat O’Brien joined BW Kennedy & Co. in 2012. Since then, he has worked on project teams responsible for base building and tenant fitouts in the life sciences market. 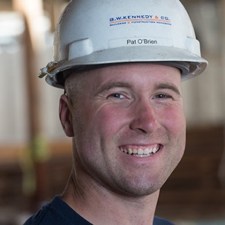 Pat’s expertise includes supervising and managing contractors, and hands-on labor through electrical, plumbing, dry wall, installation and demolition projects. Prior to joining the company, Pat worked for MIG Construction of Acton as a laborer. He holds an Associates’ Degree from Middlesex Community College and is pursuing a Bachelor of Arts in Criminal Justice at the University of Massachusetts, Lowell. In addition, Pat has served as a member of the Massachusetts Army National Guard from 2010 through the present. When not working, Pat enjoys volunteering for Special Teams for Exceptional People (S.T.E.P.) where he teaches Karate and football to children with various physical, development, and or cognitive disabilities and coordinates major fund raising events that benefit the organization. One of BW Kennedy & Co.’s first employees, Marilyn joined the company in 2011. She is responsible for a wide range of tasks, from payroll to billings and monthly requisition waivers, to Human Resources. 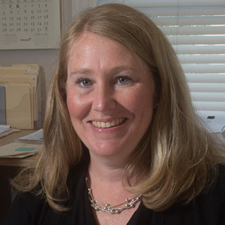 Prior to working in the construction industry, she performed paralegal work for a real estate attorney in Andover. Marilyn holds a Bachelor of Arts degree in Modern Languages from Framingham State University. Brian began his career working for an architecture firm, moving through the ranks to design manager and field construction manager. He later became a project manager at a fast-paced insurance restoration company, but quick realized that his passion was more with the construction work itself, than with the management of projects. Brian sought a degree from North Bennet Street School in Boston’s historic North End where he graduated from their Preservation Carpentry program. He moved on to work in both management and field positions for several historic restoration firms, completing projects to meet the requirements of the Boston Landmarks Commission—including one which is part of the permanent collection in the Art of the Americas Wing at the Museum of Fine Arts. Brian recently completed the restoration of a 110 year old house in Boston where he and his family currently reside. Brian’s most recent project is renovating a 110 year old house in Boston to create a beautiful home for his wife, two daughters and zany terrier. 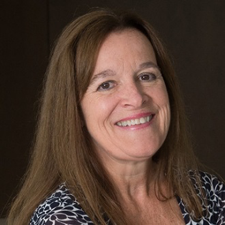 Linda Carlson joined BW Kennedy & Co. in 2016, bringing with her 13 years of experience working in the construction industry, working for a variety of prominent Boston-area builders, including William A. Berry & Sons, Inc./Suffolk Construction, Bond Brothers, Inc., Continental Woodcraft of Worcester and Neon Communications of Westborough. She has successfully managed a number of multi-million dollar projects, including Baystate Medical Center’s $183M “Hospital of the Future” in Springfield, MA. Linda is a team player who excels in managing projects from conception through completion, resolving issues in the field, and delivering projects on schedule and budget. Outside of work, Linda enjoys spending time with her two young grandchildren. Roland is a 2014 graduate of Wentworth Institute of Technology where he earned a Bachelor of Science in Construction Management. 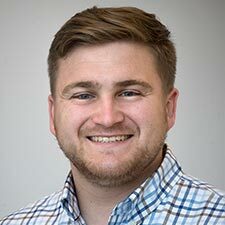 While at Wentworth, he was a member of the Construction Management Club (CM Club) and attended the CMAA “Rising CM” and national conferences in Washington, DC and Chicago. Through the CM program he received his CMAA CMIT and OSHA 30 certifications. He worked with CDM Smith for a co-op semester during his junior year on a large water treatment project in Detroit. He also served as an Assistant Building Director for the Merrimack Valley Habitat for Humanity. Roland's interests include sustainability and green building and he is currently preparing for the LEED Green Associate exam. John is a highly experienced construction site manager who brings over 30 years of experience to his role. He joined BW Kennedy & Co. in 2017, most recently from The Richmond Group and previously he worked for other local builders such as Jones Lang Lassalle Construction, Barr & Barr, RF Walsh Collaborative Partners, MMS Northeast, Wes Construction, Chapman Construction & Design, and J. Slotnick Co. He has managed many challenging projects in the life sciences, education, and government sectors. John attended Wentworth Institute of Technology, Civil Engineering Technology/Building Construction Technology programs, and holds a Boston Builder’s License and Massachusetts Construction Supervisor License Unrestricted. In his free time, John enjoys skiing and fly fishing. Peter joined BW Kennedy & Co. in 2017 as a project manager for GlaxoSmithKline’s tenant fitout project in Cambridge, which consolidates GSK’s Kendall Square and Waltham facilities into one new location. Before joining the company, Peter spent the last eight years with Chapman Waterproofing Company where he led a wide variety of restoration and waterproofing services, including preventive waterproofing on new construction, existing structures and bridges along interstates or transit lines. He also spent several years working for Western Construction Group of North Reading, a firm specializing in masonry and concrete restoration. Peter holds a Bachelor of Science in Civil and Environmental Engineering from the University of Massachusetts, Lowell. In his free time, Peter enjoys skiing, running and playing sports. 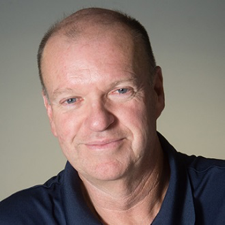 John is project superintendent who brings over 20 years of experience working in the construction industry to his role, including supervising projects ranging from $2M to $50M+ in the healthcare, commercial, hospitality, assisted living, large residential and industrial sectors. He joined BW Kennedy & Co. in 2017 and previously worked for companies such as Tocci Building Company, Caswell Construction, Carlson Design & Construction, Craffey Construction, and Dialysis Constructors. John holds a Massachusetts Construction Supervisor License Unrestricted. When not working, he enjoys wood working in his shop and boat restoration. 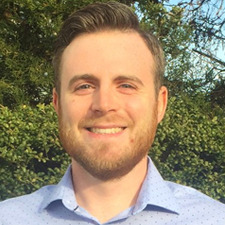 Nathan Krocke is an assistant project manager who joined the company in 2017. He is a 2016 graduate of State University of New York at Oswego where he earned a Bachelor of Science in Technology Management. He is a Certified Associate in Project Management (CAPM),obtained through Project Management Institute. Nate joins BW Kennedy & Co., most recently from Jones Lang LaSalle where he served as a Project Manager/Move Coordinator for their Sanofi account. He also has hands on building experience having worked for a residential construction company where he completed a variety of projects ranging from roofing, windows, home additions, to decks and retaining walls. In his free time, Nate enjoys hunting, fishing and being outdoors. Darian brings over 20 years of experience working in the construction industry to his role as a project manager. Previously, he worked for Boston-area builders such as Lee Kennedy Company, Suffolk Construction, RF Walsh Company, and Payton Construction. During his career, he also started and operated RD Custom Builders, and later created AP Builders Corp., both of which focused on high-end residential construction. Darian joined BW Kennedy & Co. in 2018 most recently from Lee Kennedy with projects including Accenture Boston Innovation Hub, Intuit, and headquarters for Boston Beer Company. Darian holds a Bachelor of Science in Civil Engineering from Northeastern University and a Massachusetts Construction Supervisor’s License, and is CPR & OSHA 30 Certified. When not working, he enjoys cycling and hiking. 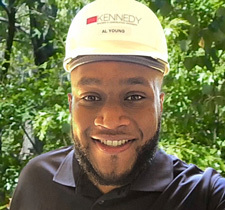 Adam joined BW Kennedy & Co. after graduating from Wentworth Institute of Technology in 2018 with a Bachelor of Science in Construction Management. 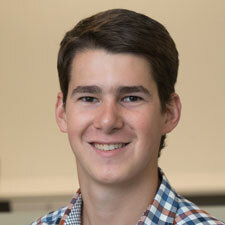 During his school career, Adam gained hands-on construction experience in project management and estimating through internships with Campanelli Construction, Chapman Construction/Design and JW Construction. At WIT, Adam was a member of their Varsity Lacrosse team. His first project with BW Kennedy & Co. was a tenant fit-out for Wave Life Sciences at their Lexington campus. A seasoned assistant project manager, Terry brings over 20 years of experience to his role. 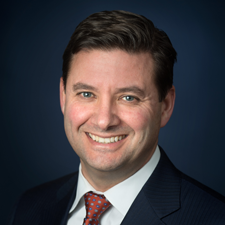 He joined BW Kennedy & Co. most recently from Congress Building Corporation, and previously worked for other local firms such as Aberthaw Construction, Advantage Construction, Bowdoin Construction Corp., and John T. Callahan & Sons. He has worked on a variety of projects for clients in the medical/healthcare, corporate, academic, and hospitality industries. During his career, Terry has been a member of award-winning project teams earning an Excellence in Heritage Preservation Award for Lofts at Perkins Place, an ABC Merit Award for The Village at Colony Place, and a BSA Honor Award for The Atrium School. 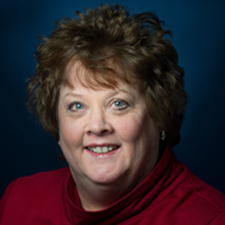 Terry holds a Bachelor of Science in Special Education from Bridgewater State College. 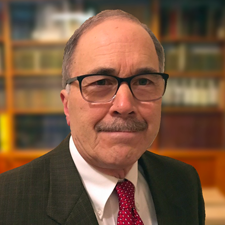 Dennis is a highly skilled superintendent with more than 30 years of experience supervising the construction of life sciences/laboratories, federal government, healthcare, commercial and retail buildings. He joined BW Kennedy & Co. most recently from DMar Construction, where he worked on medical projects for clients such as the Veterans Administration Medical Center (Jamaica Plain, Bedford), Emerson Hospital, Concord Medical Center, and Boston University Medical Center, to name a few. 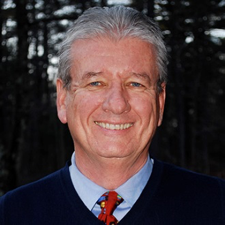 Previously, Dennis worked for other MA/NH builders such as CMGC Construction, Security Construction, Legion Construction, Delphi Construction, Great Wall Construction, and N.R. Drywall. Dennis holds a Massachusetts Unrestricted Supervisors License and is certified by the U.S. Army Corps of Engineers in Construction Quality Management for Contractors. Stasha joined BW Kennedy & Co. in 2018 after graduating from WPI with a Bachelor’s degree in Management Engineering, with a focus in Operations and a minor in Entrepreneurship. At WPI, Stasha participated in four years of competitive athletics as a member of the Women’s Varsity Basketball Team. She was also selected to be a member of the Student-Athlete Leadership Program, on which she served for two years. At BW Kennedy & Co., Stasha has joined our 75 Hayden Ave., Lexington project team that is constructing a new 1000 car parking garage, with a 200,000 SF life sciences building to follow. 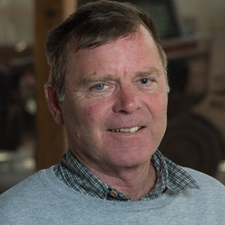 During his long career in the construction business, Dave has worked on many different projects ranging from commercial/semi-conductor business to education, retail, and manufacturing facilities. He joined BW Kennedy & Co. from Connolly Brothers in Beverly where he worked for 30 years. While there, he supervised projects for Analog Devices for 14 years, including clean rooms, many major renovations, and two new ground up multi-level office buildings. He started his career in the industry in the 1970s working for Channel Building Company where he was employed for 15 years. He has also worked for The Torry Company of Natick, and Congress Construction Company. Dave holds a Massachusetts Construction Supervisor’s License. 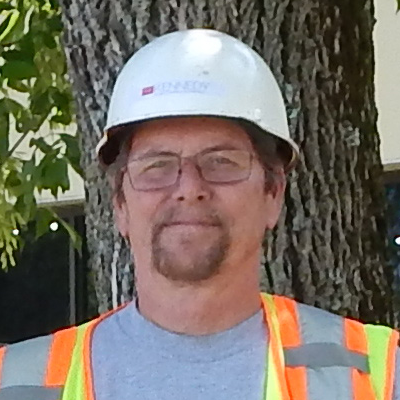 Al brings over five years of experience in utility, residential, and commercial construction work to his role. Before joining BW Kennedy & Co., Al worked for Northland Residential Corporation, where he served as assistant superintendent responsible for overseeing operations, maintenance, administration, and improvement of residential properties. Previously he served as a field superintendent for Carfaro and a head laborer for Mirra Construction. Al holds a Bachelor of Science in Business Entrepreneurship from Johnson and Wales University and has a Massachusetts Hoisting Engineer license. A native of Paraguay, Javier joined BW Kennedy & Co. after receiving his Bachelor of Science degree in 2018 from Worcester Polytechnic Institute, with a double major in Civil Engineering and Industrial Engineering. At WPI, Javier completed varied internships, including working for Tesla as a Production Control Engineering Intern where he was tasked with organizing the supply of materials to the lineside during the initial phase of production for the Model 3 car. Javier is certified in Six Sigma Green Belt and Lean Green Belt. At BW Kennedy & Co., Javier is serving a dual role as an Assistant Project Manager and Estimator. Richard joined BW Kennedy in 2018 as a Project Manager. A native of Southern California, Richard completed his undergraduate studies at UCLA and upon graduation he joined the U.S. Army where he was commissioned as a field artillery officer. After leaving the military in 2016, Richard attended MIT where he received his Master in City Planning degree. While at MIT, he worked for BW Kennedy as a co-op student, and came on board full time as a project manager at completion of his advanced degree.